Q: Tell me about your position onboard and how has Seahub changed things for you? A: I have been the Chief Engineer onboard for about 2 months now. It’s been an extremely busy time getting the yacht ready for the summer season and learning a new boat. The yacht did not have a planned maintenance system when I arrived, so with worked with the captain to understand how it could benefit our program . We both agreed we needed one and off we went. Since rolling out Seahub, I feel more organised and more aware of what needs to be done and what is coming up. Now I can easily see what is due and overdue and better manage unplanned maintenance. I’ve found it an easy platform to learn. I haven’t had to waste any time on the phone to tech support or flicking through user guides. The boys got me up to speed in just a couple of hours and now it saves me time on everything from reporting issues to managing inventory. Q: Is Seahub something you use daily? A: It is. Basically, I have it running non-stop on my engineering PC and iPad. I’m signing off tasks daily as well as changing inventory levels as I work through my maintenance list and use up spares. Q: How did you originally hear about Seahub and why did you choose this particular planned maintenance system? A: Seahub was referred to me by a friend of mine, an ETO of a large Feadship who currently runs with Seahub to manage their maintenance program. I was looking for a platform that was firstly easy to use, while also being affordable and had the functionality I was looking forward to manage all aspects of my engine room. I was keen to get something that had the ability to address defect reporting and unplanned maintenance. I like Seahub’s flow of easily adding photos of defects and adding notes on them for future reference. Q: Any module in particular you’ve found to be unique to Seahub? A: Fluid Analysis module is a great one. I can store all my oil analysis reports and can monitor parameters such as viscosity, wear rates and contaminants through the charts they generate. I haven’t come across anything like that before. Q: Who and what kind of yacht program would you recommend Seahub for? A: Seahub is strongly geared towards the engineering department but our deck department has now started using to record their maintenance, drills and safety inspections. 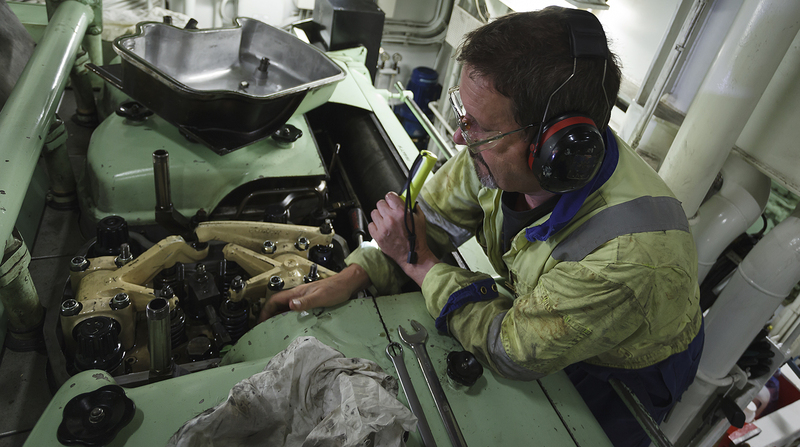 We were after a planned maintenance system that did everything possible for the engine room firstly, and that’s what we’ve got. I feel it’s a good fit for any size yacht, especially programs with a full time engineer or a Captain/Engineer who is stretched and needs something to help track the maintenance they perform. Q: Any tips for Engineers out there that are thinking about going digital? A: I would think about what you are trying to achieve with a yacht PMS, list your top requirements and do some research. Call around, try demos and find the one that suits you best.